I felt compelled to write this after just having had a conversation with my colleague about organization and planners. In the human services and social services field it is imperative to keep an agenda book for the sake of organizing and planning your workday. As a family support worker I am required to keep track of my own schedule, including staff meetings, trainings, conferences, home visits and outreach attempts with community resource centers. As a mother it is even more crucial that I maintain an up to date and organized agenda book so that I can track when my children have days off from school, doctor’s appointments, play dates and extracurricular activities. As the head of household keeping an agenda book helps me stay organized in knowing what bills are due by what dates ,when I have upcoming special events that require planning and when I absolutely need to schedule maintenance on my vehicle or maintenance for myself i.e. a night out, a hair and nail appointment, a rejuvenating massage. Earlier this morning I sat next to a colleague of mine’s and we were discussing our planners (lame conversation? Lol. Maybe). Our agency provides us with a daily planner to schedule in our visits and work related matters. It’s a free planner. Free. And by now if you have read my other posts you should know I am all about budgeting and saving a dollar or two. The problem is these “free” planners come with limitations. For a person such as myself these styles of planners just do not work. I am a type A personality. I knew I was to some extent during my college years but it was confirmed when I became pregnant with my son and was on the frenzy to make sure everything was in order (and I’m not talking about your typically nesting either). 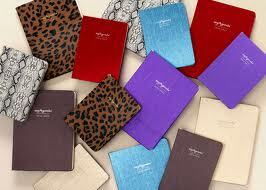 Being a type A personality I am a planner and organizer. I need to see my month at a month’s glance and then plan in my daily planner. Therefore I cannot successfully plan and organize my work/personal life in a daily agenda. It’s just not working. I am also one of those people that if I don’t write it down in my agenda book then I will forget and not achieve whatever I was suppose to set myself out to do for the day. I decided that the money I would spend on purchasing my own personal agenda like I do every year is well worth the money since it is saving my sanity. I had to convince my colleague that the money that she would be spending on her agenda book would be well worth it. Mind you, she makes about 18,000 more than me and we’re not talking about elaborately overly priced planners, but still in today’s economy it makes sense to think twice or maybe even three times before leisurely spending your money. I know that we live in the age of technology and people can just write their appointments in a pdp or smart phone or even in an app. I, however prefer the good old fashion way of writing things down in pen or pencil and crossing it off as I go along whether it’s crossing it off from my “bills that need to be paid list on my calendar at a glance” or crossing off appointments that have been successfully completed in the daily area of my planner. So why did I really just write a blog on planners? Simply put I believe in planning and organization and I think it’s critical for people to organize themselves and plan their daily or weekly or monthly activities. Does this mean that you need to be a slave to your schedule? No. But for those of us that like to set goals and see our daily or monthly successes having a planner helps. It’s not just about writing things down in a calendar; it’s about creating and culturing a life for ourselves.